Caramel Dairy Free Truffles… Valentines treat or eat them all myself! I’ve been experimenting with extracts in the kitchen and I’ve produced a great DEGF truffle recipe! As with many free from truffles, bite, balls, the base is dates BUT these are cooked to create a richer deeper flavour! If you can stop yourself munching on them for breakfast they would make a brilliant end to a Valentines meal, or you could be creative and wrap them up in a lovely box! Ideally if you can prep the dates beforehand this would be great and if you are also making my Chocolate Chocolate Dessert you could just double the amount of dates used (and water and rose water), then split it to use half for these! Cut the dates in half and place cut side up in a flat bowl. Put the boiling water in a cup and holding the tea bag, swirl it into the water for ten seconds. IF you put the water straight onto the tea bag, the flavour will be too strong! Remove the tea bag (don’t squeeze it too much) and add the rose water to the cup. Pour this over the dates and leave for at least one hour (the aim is for the dates to take up all the flavour). This stage could also be prepared the day before and left (covered) overnight. 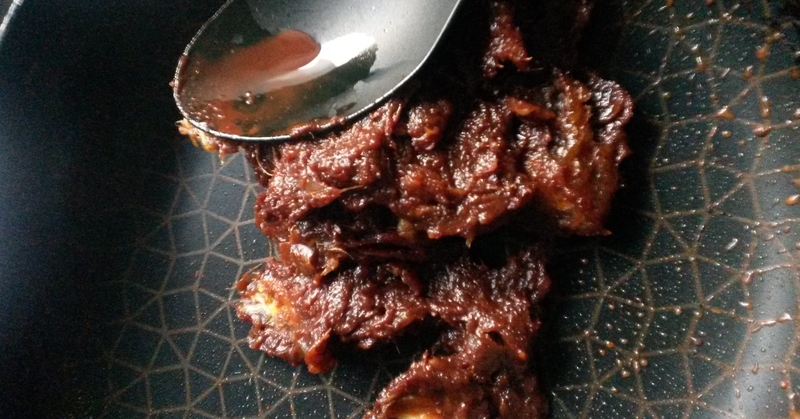 Melt the coconut oil in a frying pan and stir in the cacao powder and the salt. Combine until you have a smooth liquid. Add the dates (and any remaining liquid) to the pan and heat gently until you have a uniform paste. Cook for 1-2 minutes then remove from the heat. Add the caramel extract drop by drop and taste test (depending on the strength of the extract 1/8th teaspoon will be too much so add slowly) and mix in. Add the oat flour and combine fully. Roll into bite-size balls and refrigerate while you wash up! (the pan will be sticky if left too long)! Prepare your coatings and coat each ball as required. To make this easier and have less mess (& no more washing up), put the coating in a paper bun case, pop the truffle in and roll it around until coated. Repeat with the remaining truffles and coatings. Store in the fridge until ready to munch! One word x2: Yum. Yum. ? Thank you NasimaBee! 🙂 Love the x2!